Start by mixing a few drops of gentle dish soap in a bowl with warm water. Soak the jewelry in the dish soap and water solution for at least 15 minutes. After soaking, scrub the gold with a soft brush. When the gold jewelry looks clean, rinse it in warm tap water. 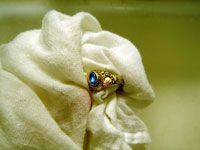 Dry the jewelry by gently buffing it with a soft cloth. This simple method of cleaning gold really does work! If you have jewelry that you wear every day, chances are good it’s made of gold. And since you wear it every day, it’s probably dirty. Because while it sits on your finger or around your neck looking pretty, jewelry is secretly collecting oils from your skin, toxins from the air, dirt from some of the things you touch, and residue from soaps and lotions. Over time, these things begin to affect the appearance of your gold jewelry. When your gold starts to look dull or grungy, you may be tempted to take it to a jeweler for a professional cleaning. But unless it’s scratched or seriously filthy, that just isn’t necessary. You don’t even need to spend money on commercial jewelry cleaner, because everything you need to give gold a good basic cleaning is probably already in your home. 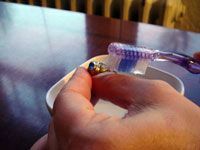 There are a few methods out there for cleaning gold jewelry with household products, but this one offers simplicity and gentleness along with effectiveness. Start by mixing a few drops of gentle dish soap in a bowl with warm water. I used Seventh Generation Natural Dish Liquid to keep this project as green as possible. Make sure the soap combines thoroughly with the water, rather than just sitting on the bottom of the bowl in a gooey lump, by adding the dish soap to the bowl first and running the water on top of it. You can even stir it a little for good measure. 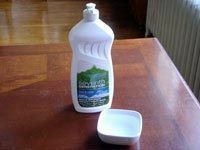 Soak the jewelry in the dish soap and water solution for at least 15 minutes. This step helps to break up oils and loosen hardened grime from the surface of the gold, especially in crevices. However, if you’re cleaning a piece of jewelry with glued-in stones, there is some risk of soaking the stones right out of their settings, so you may want to skip the long soak. After soaking, scrub the gold with a soft brush. 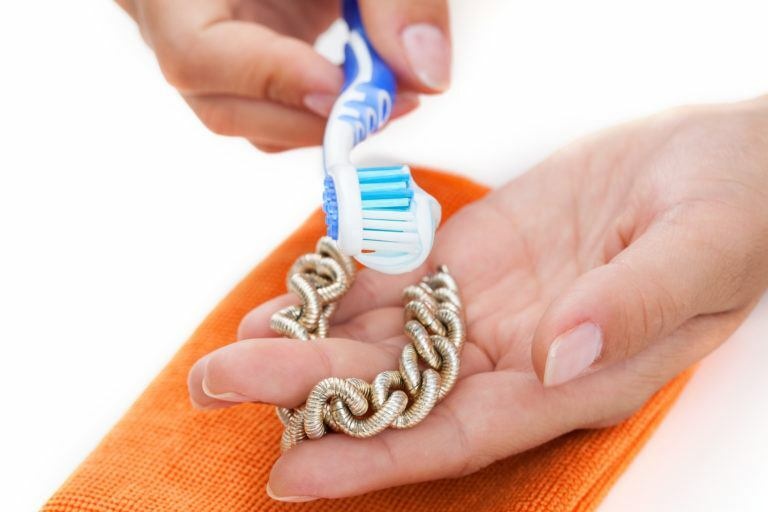 I used a clean toothbrush, but you can also use an eyebrow brush or a brush made especially for cleaning jewelry. During this step, make sure you scrub the entire surface of the gold, but focus especially on crevices created by stone settings, engravings, or details carved into the metal. When the gold jewelry looks clean, rinse it in warm tap water. Soap residue can cause gold to look dull and dirty, so you want to make sure you rinse it completely clean. 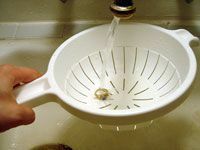 To be safe, though, place the jewelry in a clean strainer or colander so you can’t lose it down the sink drain during this important step. Dry the jewelry by gently buffing it with a soft cloth.This prevents water spots from forming on the surface of the gold and removes any stubborn leftover soap residue. Plus, it makes your freshly cleaned jewelry ready for immediate wear. 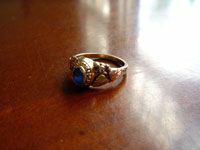 This simple method of cleaning gold really does work!My sister-in-law’s high school ring, made of Black Hills gold, was dull and had a lot of dirt embedded in the detailing. After cleaning it exactly as I’ve described above, it looks shiny and clean again. Once your gold jewelry is clean, you can continue to care for it by taking it off when you shower, swim, or do household chores. Gold can be dulled or discolored by soap residue or chlorine. Gold is usually procured from the earth in ways that are not friendly to the natural environment or the people and animals that live there. Most commercially available gold originates in a pit mine, which decimates the natural area of the mine completely to extract as much gold from it as possible. Gold mining and refining requires incredible amounts of energy and pollutes the land, the air, and the water with chemicals and heavy metals—including cyanide and lead. People in the area surrounding a mine are sickened and killed by these pollutants, often even as they are forced out of their homes and traditional livelihoods by the mine. If you’re reading this article, you’ve probably already contributed to the problem by buying gold jewelry. Yeah. Me too. Oops. But the fact that you’ve inadvertently given social injustice a helping hand doesn’t mean it’s too late to try to make up for it. Gold can be mined and produced using more socially responsible methods, but at greater cost to those whose business is the mining and selling of gold. That means those companies won’t change unless they’re pushed hard to do so. As a consumer, you can put pressure on the gold industry by choosing to wear vintage jewelry or have it melted into new pieces. When you do buy new jewelry, ask your jeweler about the source of their gold and only buy from retailers that can offer gold that was mined with an eye to humanity and the environment. Touch of Purple Jewelry Cleaner is a natural, biodegradable formula that safely cleans most metals and gems, including gold. 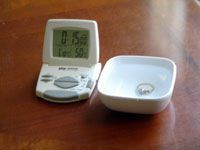 In addition to cleaning your jewelry, this product also coats it with an invisible layer to temporarily protect it from dirt and oils. You can get Touch of Purple in various options, like spray, from Amazon. 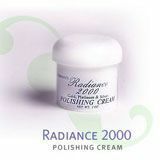 Radiance 2000 Polishing Cream is a vegetable-based, biodegradable product for cleaning dull residue from yellow gold without relying on toxic chemicals, acids, or ammonia. It should not be used on rhodium-plated white gold, however, because it will damage the plating. Something New Professional Jewelry Cleaner is made of biodegradable ingredients including banana and coconut oil, and is available in three forms—cleaner, tarnish remover, and sonic cleaning machine—for all your jewelry cleaning needs.